California's Plumas National Forest Environmental Impact Study accepting comments through December 10, 2018. 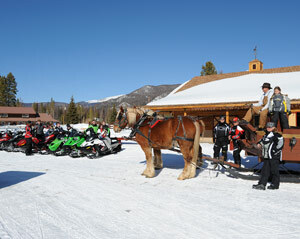 Purpose: To present the true positive image of snowmobilers as the environmentalists we are. Business Plan: Show that we are a low impact on the land sport, that our tracks go away with warm weather and that we enjoy being with the land in all seasons. Define who a conservationist really is, who we are, the attributes of possible partners and our enemies or detractors. Build our image to the point that we are the pinnacle of environmentalism. Promote and participate in visible environmental practices. Initiate, promote and facilitate community improvement projects such as tree planting, road clean-up, park building and more. Participate in youth groups that have outdoor projects. Work with public schools to provide true science so that the extreme green teachers do not mislead our youth about snowmobiling. Show our opponents our goal -- protecting the environment. Partner with our detractors on projects that meet an immediate common goal, especially in areas that present a problem. Associate ourselves with legislators and government agencies so they see us as environmentalists and good stewards of the land. Know what our opposition is claiming and have science ready to refute their claims. Focus on snowmobiling as a family sport. Be sure everyone knows the difference between wilderness and Wilderness. ACSA is a national organization uniting the snowmobile community and promoting snowmobiling as a safe, fun and environmentally friendly family sport. Snowmobiling is enjoyed by millions and must be represented by a strong national organization. ACSA is that organization. 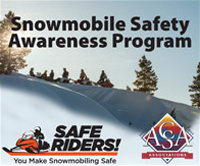 Join ACSA today to help us in our mission to promote snowmobiling. It’s never been easier! Write your representative and let them know it’s important to protect public trail funding and other important issues. It has never been more critical to support organized snowmobiling! Become a friend of ACSA by donating a tax-deductible amount and help keep public lands open. 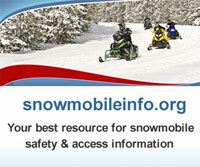 Subscribe to our snowmobiling e-newsletter for all the latest news and information. Search for your next sled purchase or post your current one to sell today. New and used snowmobile listings powered by SnowmobileTraderonline.com.